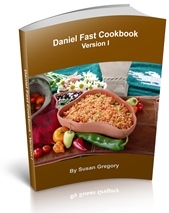 The foods allowed on the Daniel Fast are all plant-based, so no fish or seafood. Hello.. I’m struggling with the do not but limited on fish or seafood.. Can you please explain this to me.. We can’t eat it or we can eat it but limited amount.. Thanks!! Would like to join 2018 Daniel’s fast. I started today 7 January 2018. Would like to learn how to focus on God, have revelations and hear from God. No, the Daniel Fast is totally plant-based. Vegetarian chili that is free of chemicals and sweeteners is allowed. It all depends on the ingredients. Read the list of ingredients on the package (not the nutritional analysis). If the mustard is free of sweeteners and chemicals then it is okay.